Directions: ( 1 – 5) : The following pie chart represents the break-up of Ravi’s monthly Expenses. 1. If Ravi's spent Rs 4500 more on food and transport together than he spent on rent, then Find his monthly expenses. 2. If Ravi increased his savings, which is currently 10% of his income, by 20% and reduced his expenses by 20%, then his savings would be what percentage of his expenses? 3. Ravi spent 20% of his expenditure on ‘others’ on entertainment. This amounted to Rs 2100. Find his expenditure on education. 4. 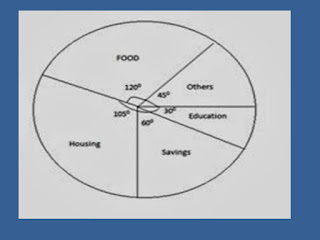 Find the angle made by the expenditure on rent and ‘others’ put together. 5. As prices dropped, Ravi’s expenditure on clothes dropped by 10%. As a result of this, his expenditure on ‘others’ decreased from Rs 10,500 to Rs 10,290.What percentage of his expenditure on ‘others’ was spent on clothes? 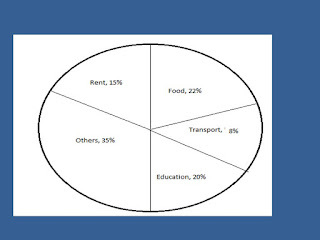 Direction (6-10) : the pie chart given here shows expenditure incurred by a family on the various items and their savings , which amount to Rs 8000 in a month .study the chart and answer the question number 95 to 100 based on the pie chart . 6. How much more amount is spent on food than housing? 7. How much expenditure incurred on the education? 8. 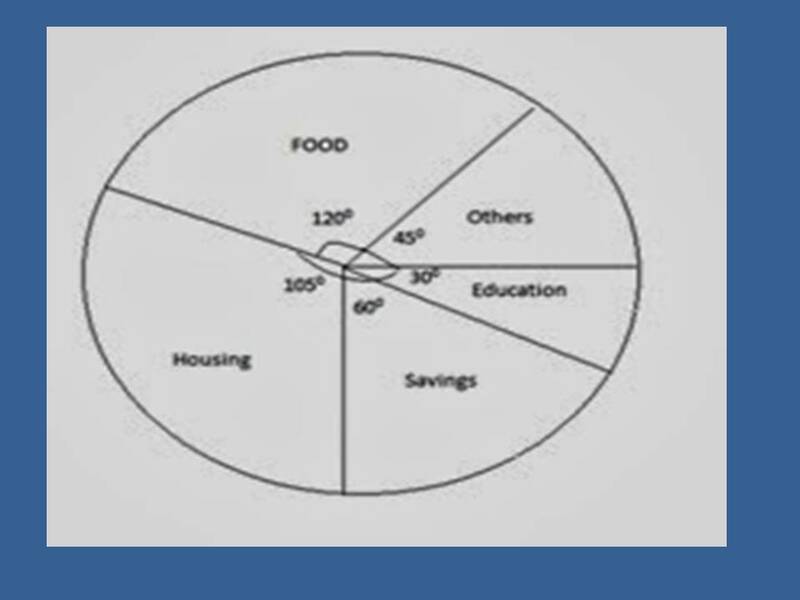 The ratio of the expenditure on food to the saving is? 9. What is the expenditure of the family in education & housing for the month? 10. What are the ratio of expenditure on education and housing? 2. Let his monthly income be Rs x. Also education accounts for 20% of the total expenses.